Lace Ruffles are a new twist to double ruffles! 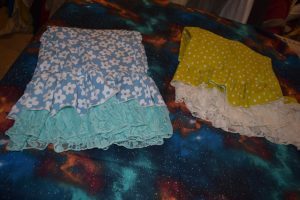 One version of these ruffles includes a top ruffle of the matching pants knit and the bottom ruffle is made up of ruffle fabric. 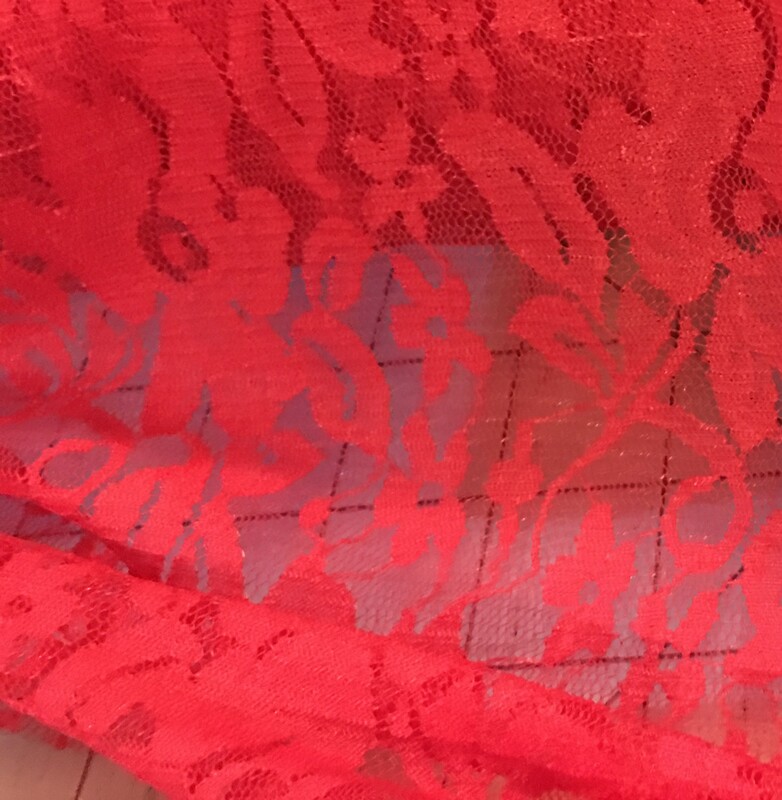 The lace has a rolled hem and can either match the color of the pants, or be a contrasting color. The pants can be print or solids! 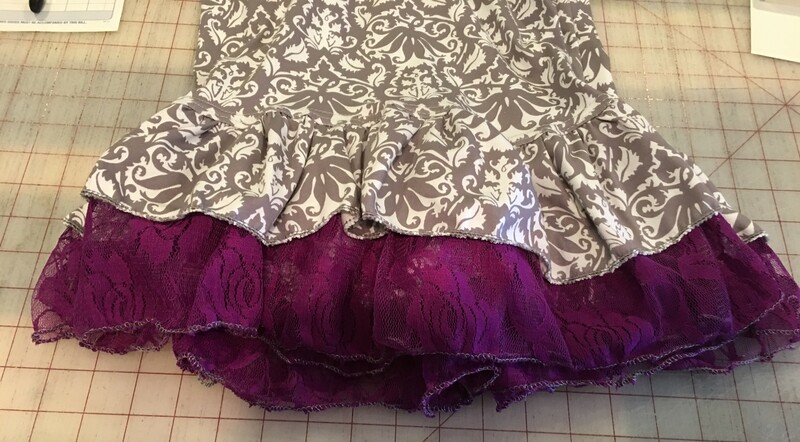 The ruffles have a top stitch above the top ruffle too in matching thread. 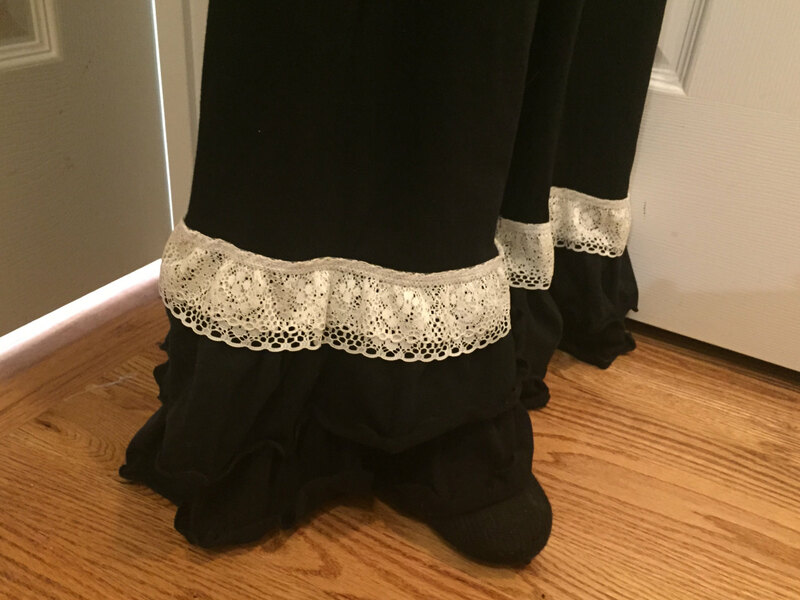 Because of the lighter weight of the ruffles, these unique pants are lighter and more comfortable than other double ruffles. With a large number of prints, solids and lace colors, it’s possible to put together a huge number of combinations! 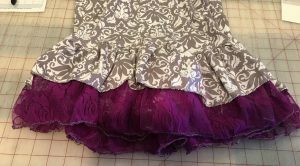 Another option is lace trim above the ruffle. 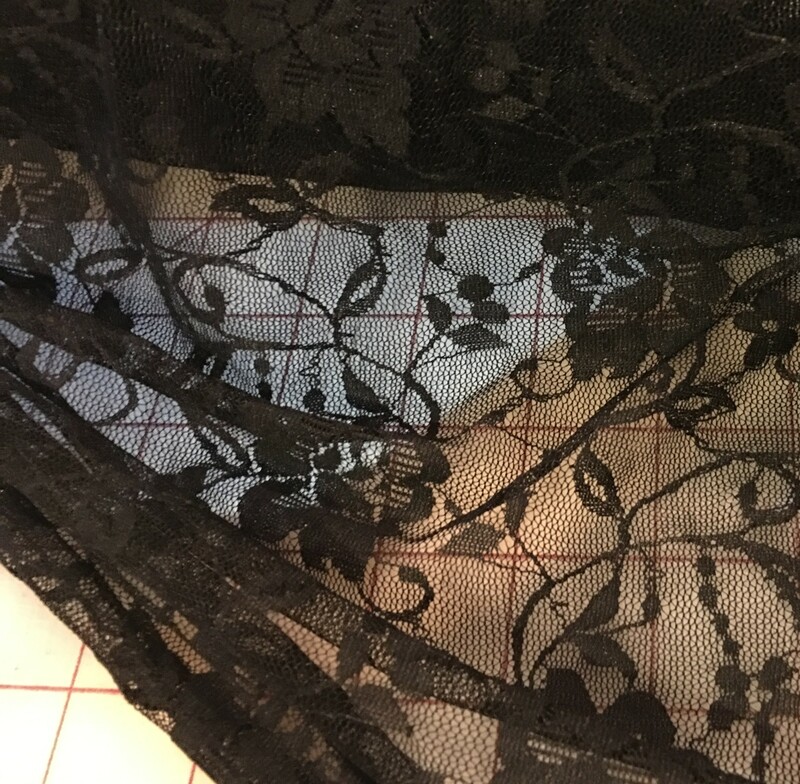 It turns the pants into a double ruffle, by adding a second ruffle of lace in a narrow border above the single ruffle. 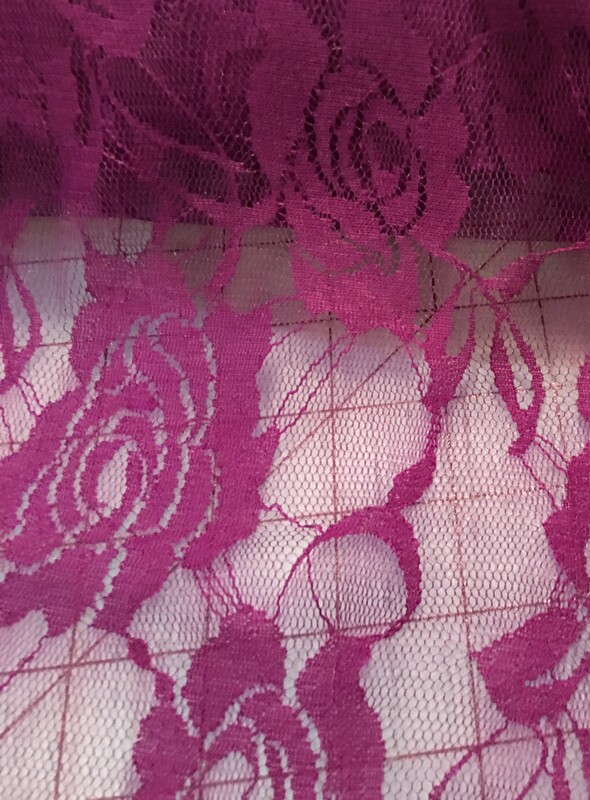 This lace can vary, but is about 1 inch to 1 and a half inches wide. 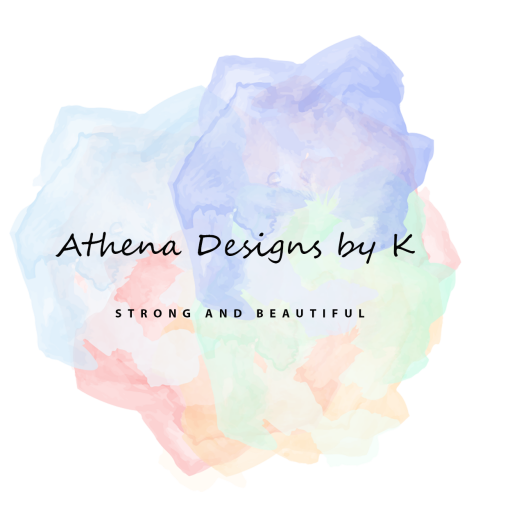 This look best in a solid color. 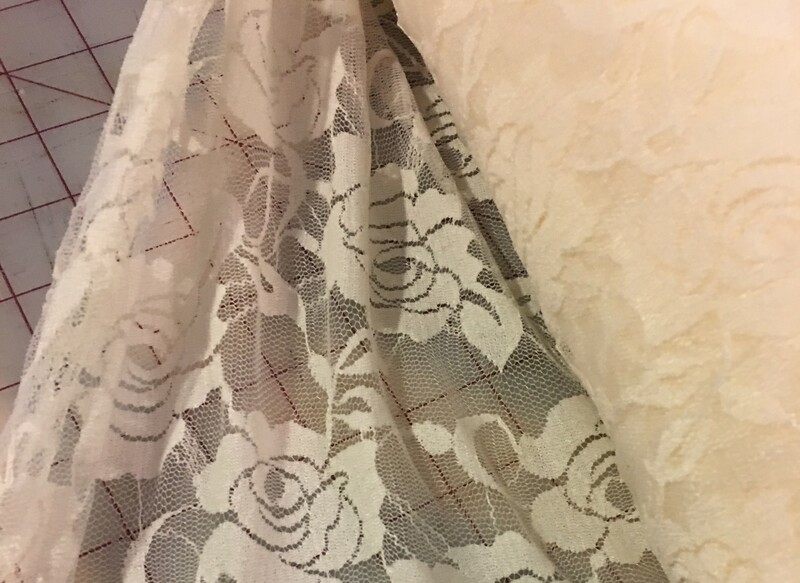 So far all the pairs I’ve made of this sort have included cream lace, but lace can be dyed any color to contrast the pants. 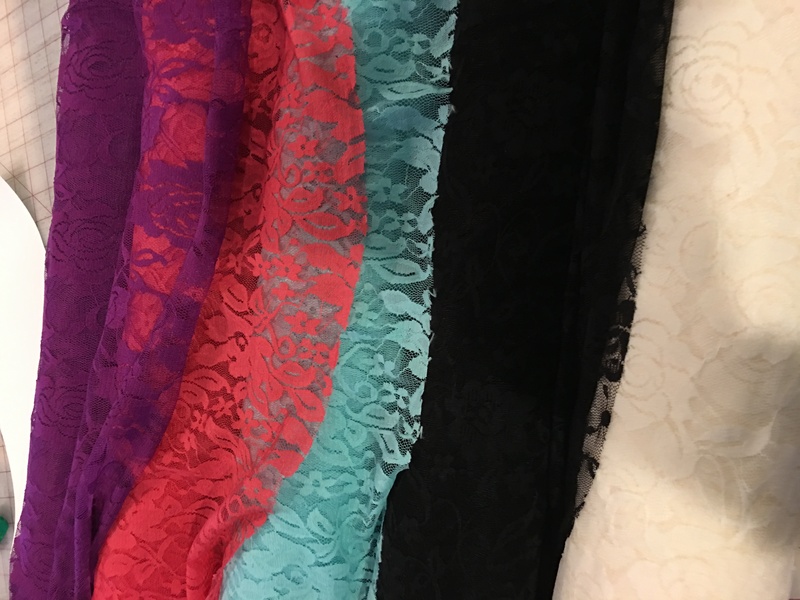 Some lace choices include coral, purple, mint, black, hot pink, and cream. 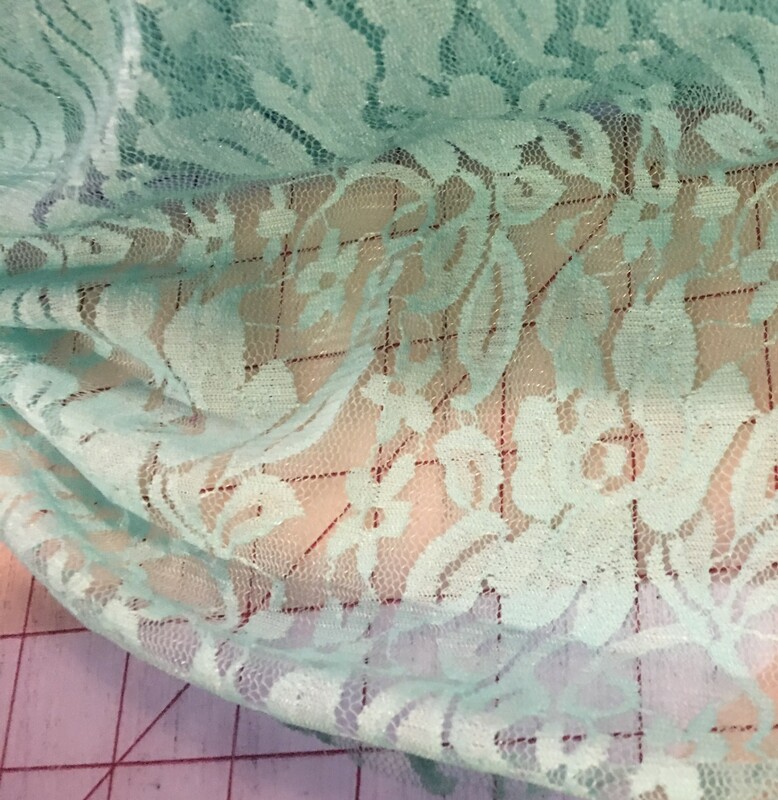 The lace is actually stretch lace and can be used for lots of other items! I love it for the bottom ruffle though of pants.